Submitted by Norm Roulet on Sun, 08/12/2007 - 22:36. 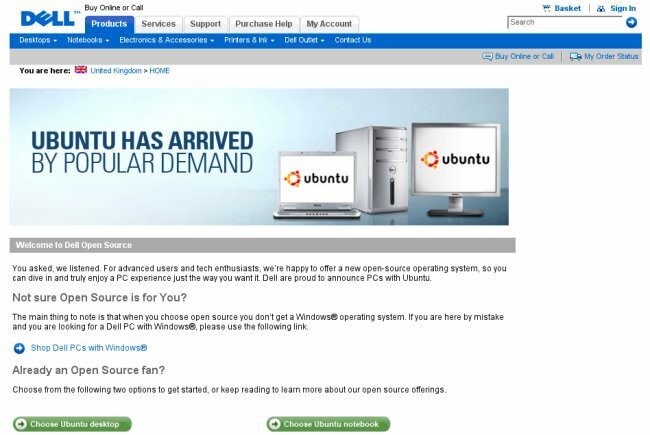 I was up at the Ubuntu website downloading the latest version to my ThinkPad (from a mirror site at OSUOSL, which I hopefully thought would be Ohio State University Open Source Lab, but was of course Oregon State) and I noticed a promo that "Ubuntu on Dell now available in the UK, Germany and France" with support from Canonical... one promo said this is available in the USA as well. This is a major development for Linux and for Ubuntu, and for open source development in the world. For the first time ever, I am a Dell fan... I'll be interested how pricing will differ between comparable Dell Ubuntu and Windows boxes... especially after you add Office (v.s. free OpenOffice)... more below and here. Ubuntu has always been known for its super-easy installation. But to make things even easier, Canonical and Dell have teamed together to deliver Ubuntu 7.04 fully certified, pre-installed and supported on a range of Dell products. Canonical offers full commercial support for Ubuntu 7.04 on all of the pre-installed Ubuntu certified Dell hardware products listed below.